We explore the many reasons women wear wigs. Also, is shame the defining emotion of our time? Hair can be intensely personal and equally political. It can be a sign of confidence or beauty, rebellion or activism. But what about wigs? Why do some women choose to wear them and how significant can they be? 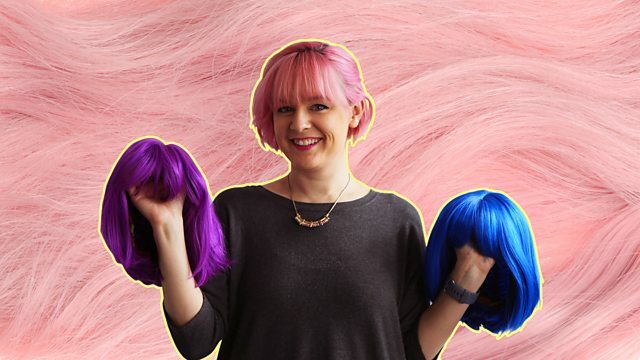 Throughout this week we'll explore what wigs mean to a range of different women. First: Wearing a wig during cancer. Approximately 65% of individuals undergoing chemotherapy will experience hair loss as a result. Alex Petropoulos and Angelina Hall both lost their hair this way and turned to wigs. Azmina Verjee works for the Macmillan Cancer Information Centre. The subject of this year’s BBC Radio 3 Free Thinking Festival at Sage Gateshead is Emotion. One of their debates aims to decide ‘What is the emotion of now?’ The academic Hetta Howes argues that shame is the prevailing emotion of our time. We’ll be examining the relationship women have with shame in more detail with Hetta, a lecturer in Medieval and Early Modern Literature at City University, London, and with the cultural historian Tiffany Watt-Smith, author of ‘The Book of Human Emotions’. Anne Acheson was a sculptor who changed medical history by combining her knowledge of art and anatomy. During the Great War, many soldiers suffered limb injuries which were treated with splints. However, Portadown-born Anne created an alternative method - using plaster of Paris. As the Millennium Court Arts Centre in Portadown plans a historic exhibition of Acheson’s work we discuss her importance as a sculptor and inventor with Rosamund Lily West, Research Curator at the Royal Society of Sculptors, Jackie Barker, director of Millennium Court Arts Centre, and Virginia Ironside, Anne’s great-niece. What’s the best way to decide on a wig after cancer treatment?